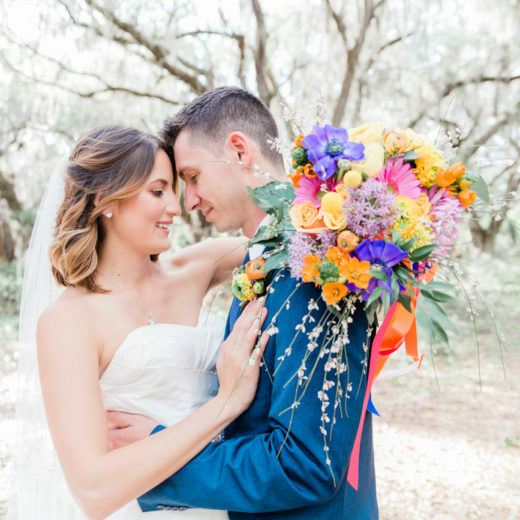 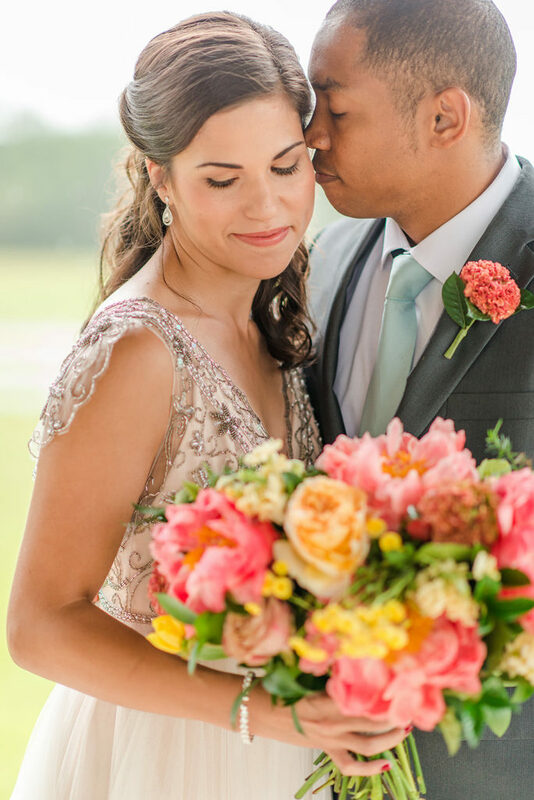 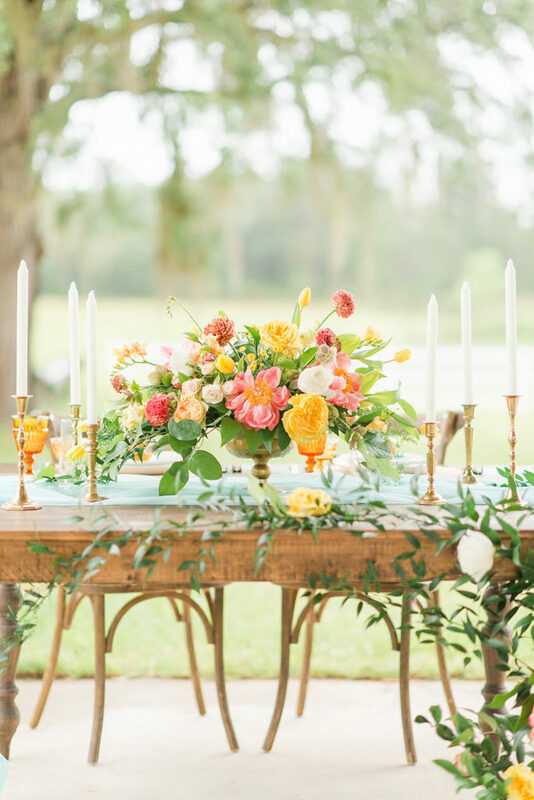 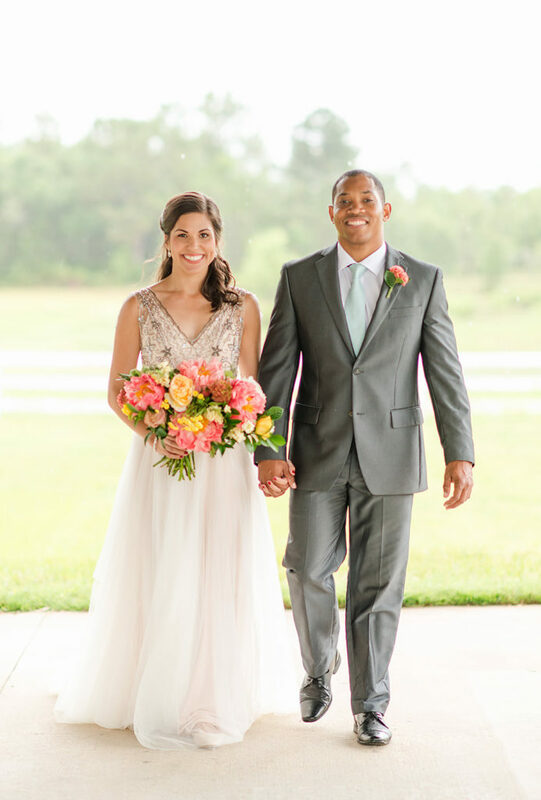 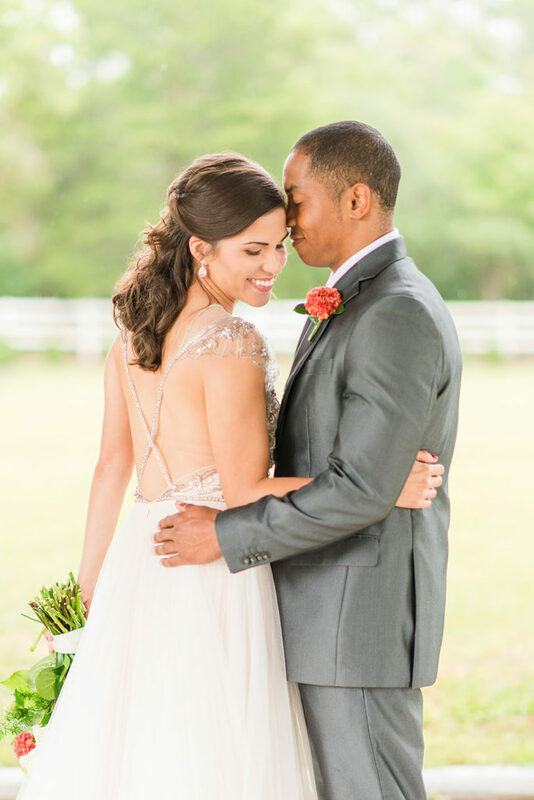 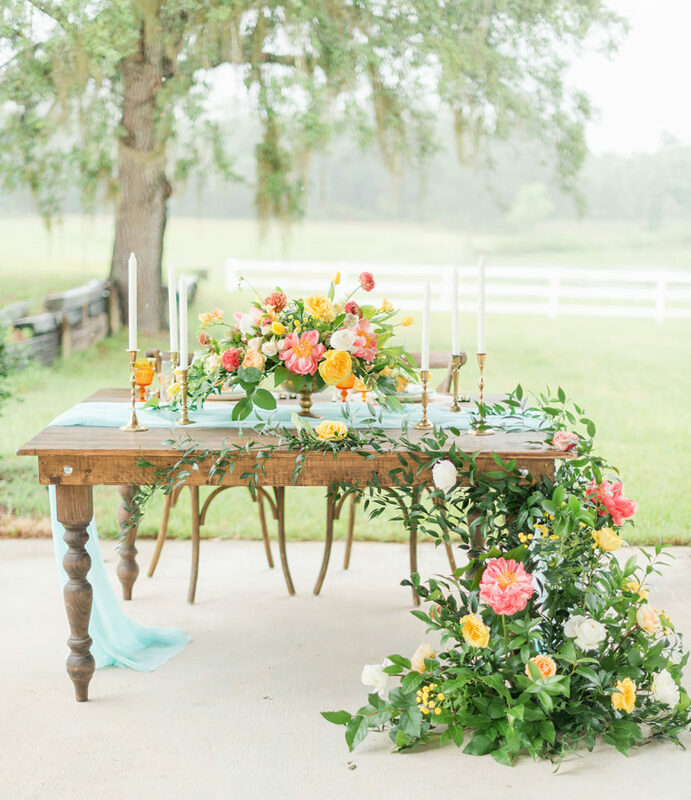 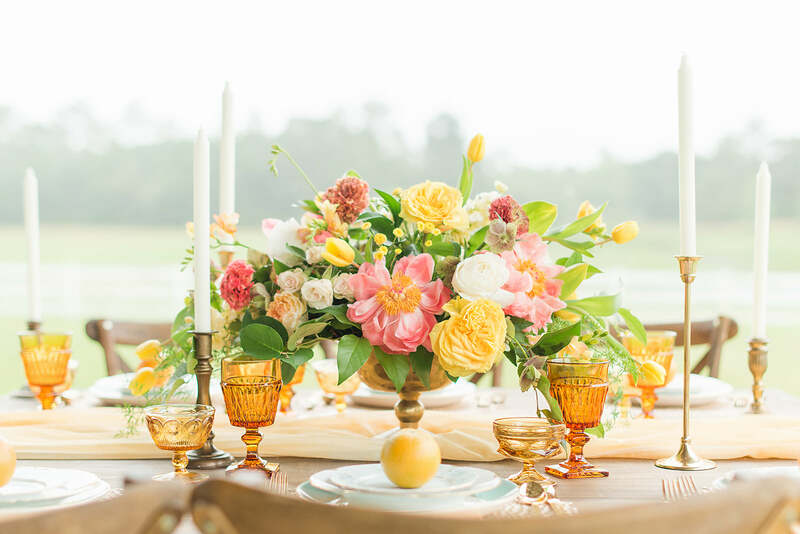 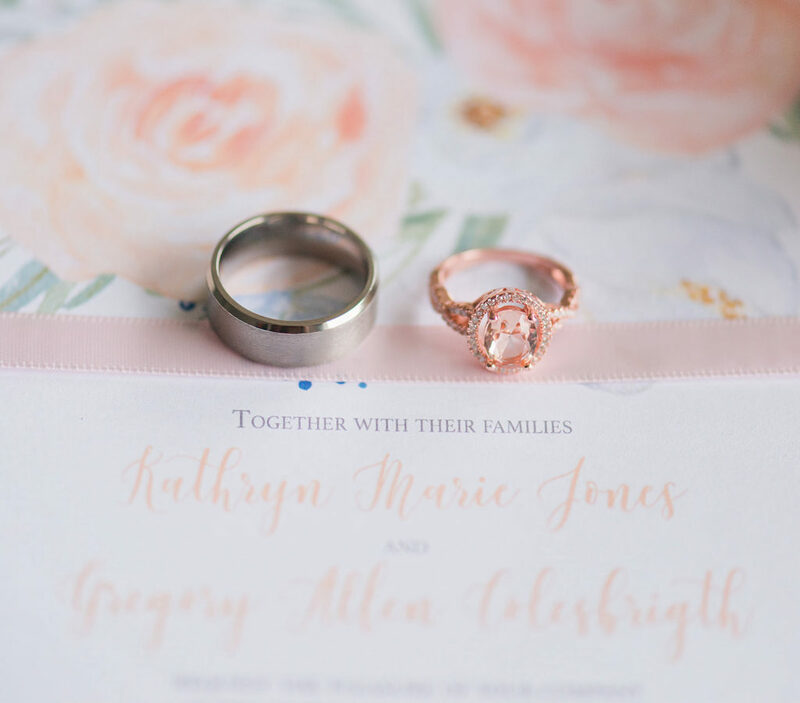 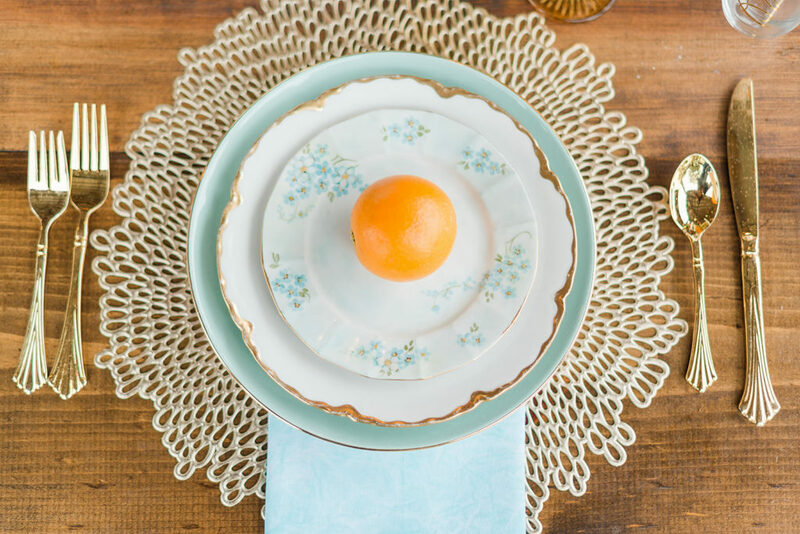 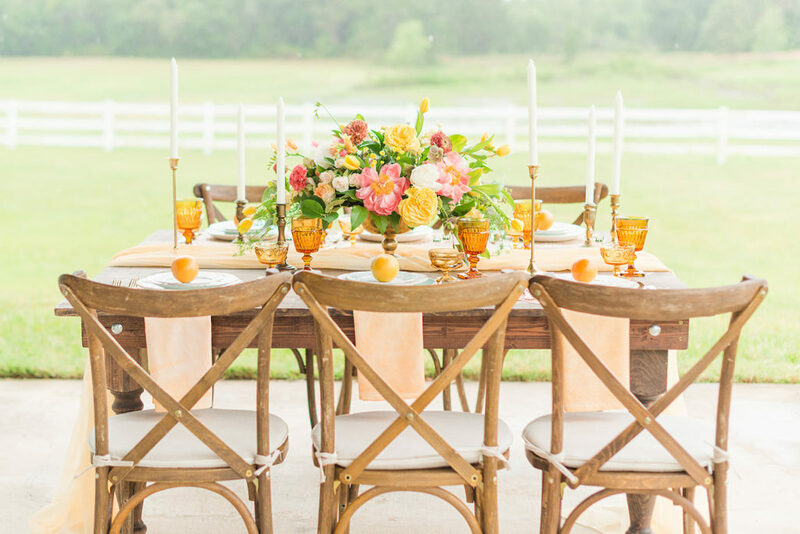 This super sweet styled shoot created by a group of central Florida wedding pros brings a little sunshine to any bride ready to embrace the state’s reputation for the sweetest and best oranges. 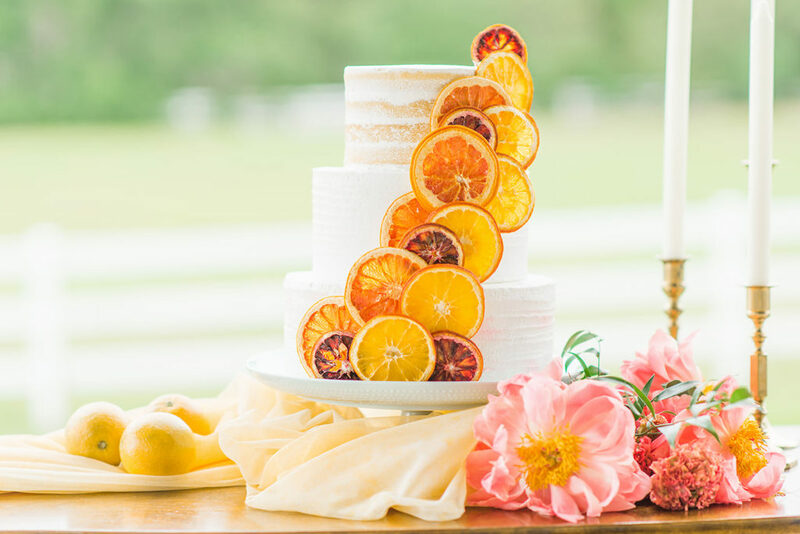 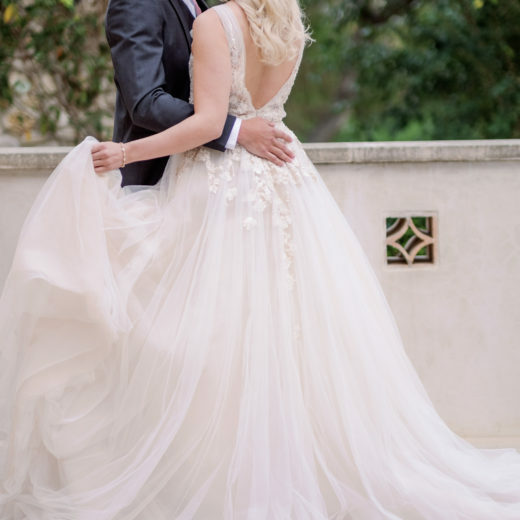 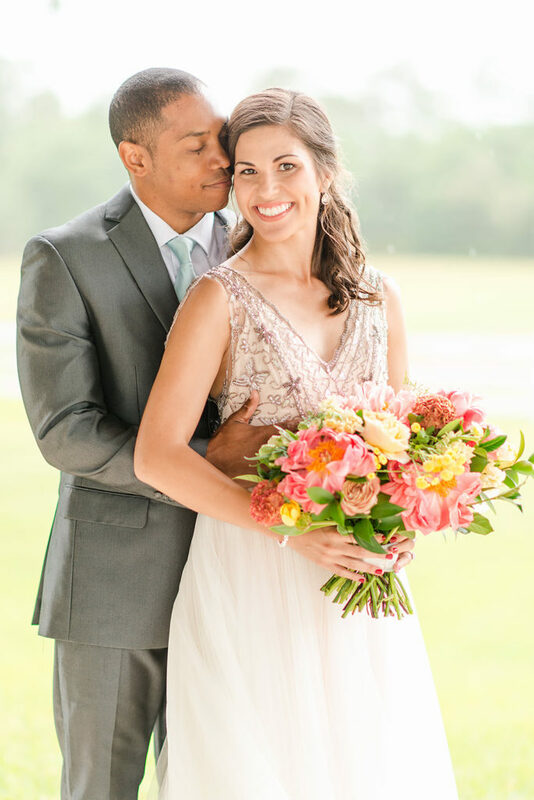 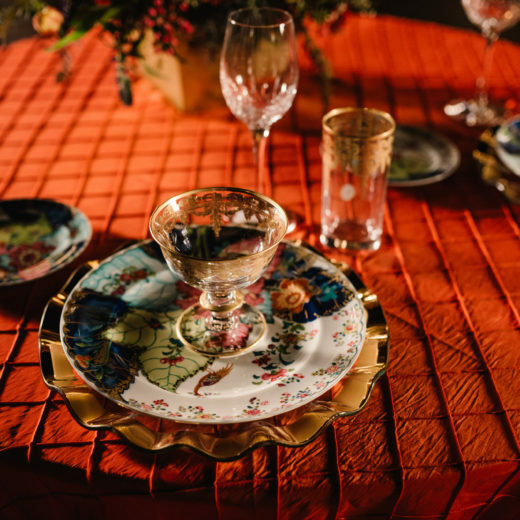 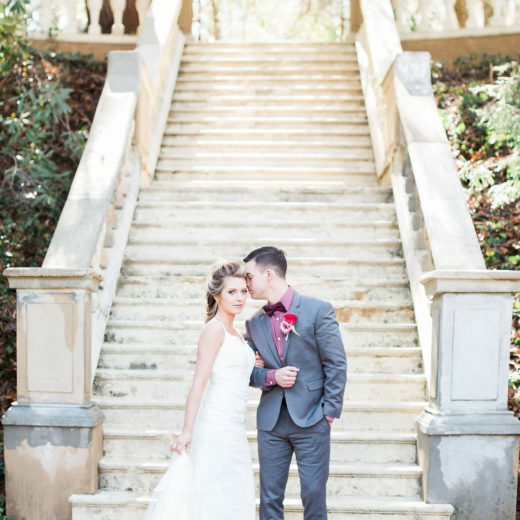 The beautiful Bramble Tree Estate was the perfect place to host this brightly colored shoot that used a variety of citrus colors – an eye-popping orange, lemony yellow, and pink grapefruit – to create a bright and cheery wedding decor. 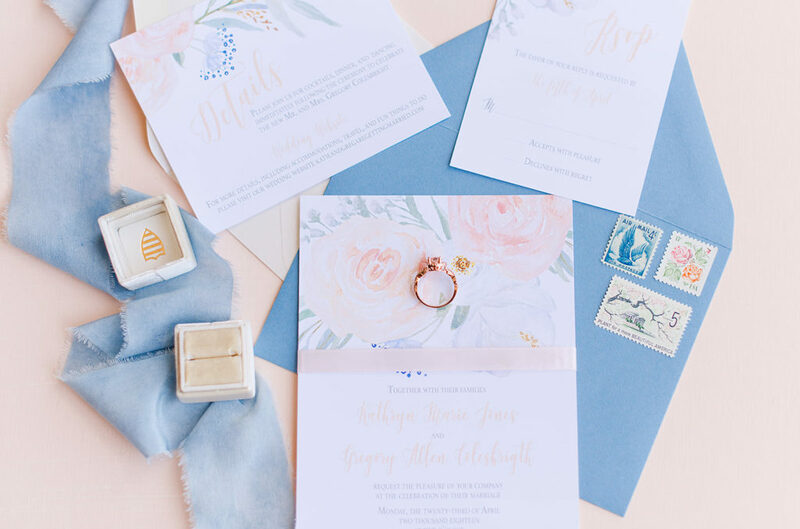 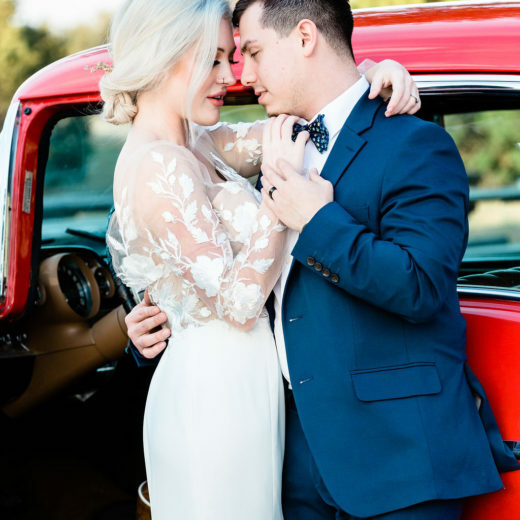 The design included lush greenery in florals and accents of cornflower blue in table linens and lovely vintage china which softened the color palette and lent a sweet vintage vibe to the style. 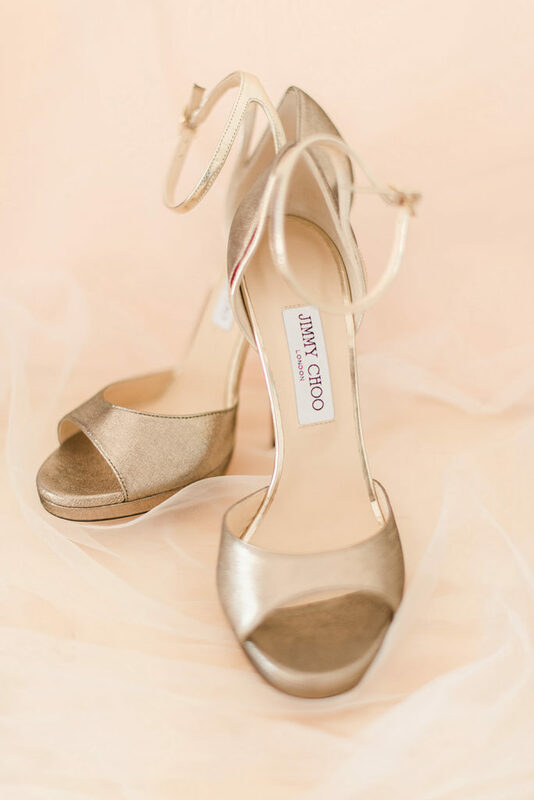 Touches of gold metallic were added through decor pieces and the bride’s unexpected gold peep toe Jimmy Choo shoes. 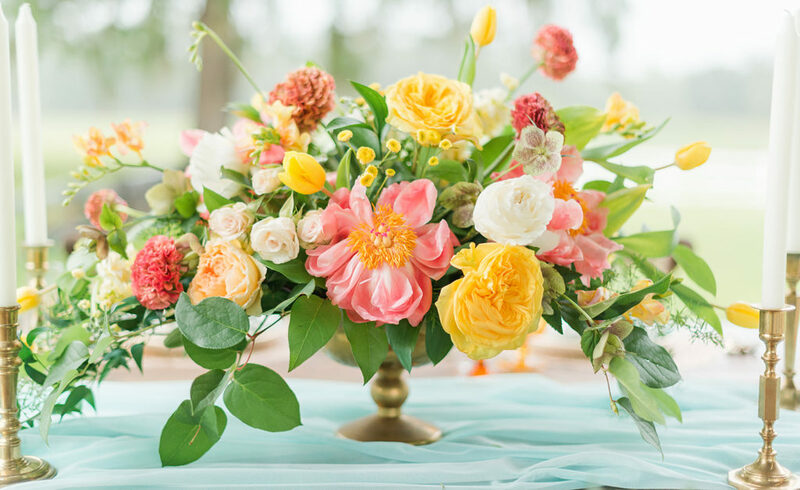 This soft and summary color palette is perfect for a charming outdoor summer event.